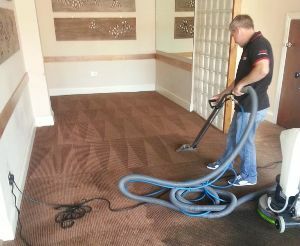 Clean Direct are a well established company and have been dealing with carpets and upholstery for over 25 years. Our prices are highly competitive and we pride ourselves on our excellent customer service, providing a reliable, fast and friendly service to families and businesses in Milton Keynes as well as Buckinghamshire, Bedfordshire and Northamptonshire. They say you never get a second chance to make a first impression, so what do your carpets, floors and upholstery say about your home or business? We can help to quickly and effectively get these back to something you're not embarrassed to show off - and you'll probably be shocked at how competitive our prices are. Clean Direct can offer you a broad range of services, providing the skills and expertise required to get your home or office looking fantastic. Some jobs are best left to the professionals and our staff are highly experienced and trained to help us maintain the high standards our customers demand. We are an environmentally responsible company and our methods and the materials we use are safe and hygienic. If you are looking for carpet cleaning in Milton Keynes then join the many customers who trust us and have helped us be such a long-established business. Call or email us today for a quote if you require one of our services in the Milton Keynes area. Check out the short video below taken on a recent job to see the difference our powerful machines and experienced staff can make. You probably spent a lot of time and money choosing the right carpeting for your home, office or business. Little by little, day by day, dirt and grime build up making it dirty and unhygenic. It's important that your carpets have a deep steam clean at least once per year - especially if you have young children, or have pets in your home. In almost every job we do our customers are amazed when they see the contrast on their carpet on the areas that are being cleaned. In truth, many are horrified. We have also noticed the feelings of satisfaction and peace of mind our customers get once they know that their carpets have been thoroughly, and hygenically, cleaned. Our process is extremely powerful and we remove dirt at the deepest level, with remarkably quick drying times. Typically you should be able to comfortably walk on the carpet in an hour or so. We are also experts in stain removal and ensuring that the red wine, dog dirt or whatever the stain may be is removed quickly and that there is no visible or invisible trace that it was ever there. If your carpet is likely to be the victim of repeated spillage or staining then please ask us about stain propection which does a remarkable job of allowing you to keep things clean. Professional carpet cleaners help remove dirt, human skin, pet hairs, small pieces of food, and pollens that regular vacuuming just cannot shift. You are only as good as the equipment you use. You owe it to yourself and to the other using your space to call in Clean Direct Milton Keynes. We have happy customers throughout Milton Keynes, Buckinghamshire, Bedfordshire and Northamptonshire.